'The Big Bang Theory' star Kunal Nayyar gives Larry the latest update on the show's future, as many fans are hoping to see more of the massively successful sitcom following season 10. Larry King: Alright, now the thing that everyone's interested in. Will it go another season? Larry King: Do we know when we'll know? Larry King: Are you signed just through the 10th? Kunal Nayyar: This would be the last year that we are signed on for. Larry King: How many are you signed? How many characters are signed? Kunal Nayyar: Seven of us. Kunal Nayyar: Come April, this will be the end for seven of us. Larry King: And you get no hint at all? There's no buzz in the world of so many rumors? Kunal Nayyar: You know, none that I, none that are coming to me personally. So, I'm not sure what's going to happen. Larry King: Why is it the happiest place in the world? 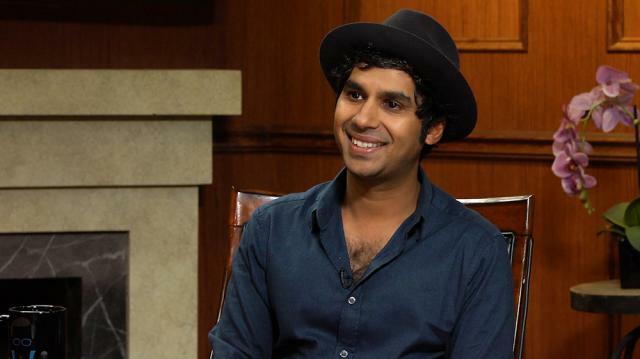 Kunal Nayyar: Because, it's the people. It's the people that are on the show that conduct their lives with humility and love and understanding of what a special opportunity this is to be together. And that's very important for 10 years on a show. That you have to really embrace that. Larry King: Do you all get along? Kunal Nayyar: Very, very much so. Larry King: How'd you like to see it end if it's the final season? Kunal Nayyar: Wow, that's a very, very good question. I'm not sure I have a great answer. I'd like it to probably end with, why does the elevator not work?